DETROIT/WASHINGTON (Reuters) - A federal judge in Detroit on Thursday ordered that a Volkswagen AG executive charged in the automaker's diesel emissions scandal be detained until his trial set for next year, agreeing with prosecutors that the German national represented a flight risk. 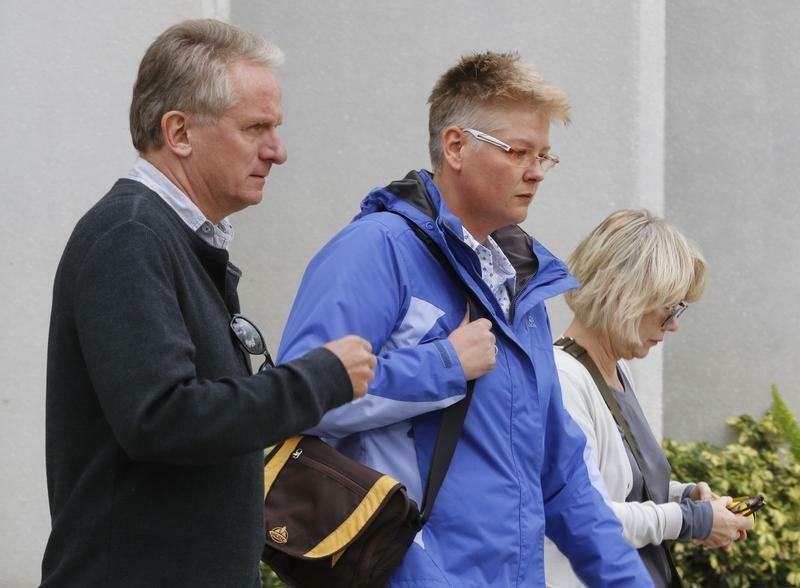 Oliver Schmidt, who was chief of Volkswagen's (VOWG_p.DE) environmental and engineering center in Michigan, has been held since January when he was arrested in Miami trying to return to Germany. Schmidt is one of seven current and former executives charged in the U.S. emissions probe..
"The allegations of fraud and conspiracy in this case are very, very serious," said Judge Sean Cox of the U.S. District Court for Eastern Michigan. "There is a serious risk that Mr. Schmidt will not appear in this case." Last week, Volkswagen pleaded guilty to three felony counts under a plea agreement to resolve U.S. charges it installed secret software in vehicles to beat emissions tests. The ruling on Thursday came despite pleas from family and friends, including Schmidt's parents, who offered a combined $1.6 million in assets such as property and cash to pay his bail. The defense had asked that Schmidt, who appeared in court in handcuffs and a fluorescent orange prison jumpsuit, be confined to his home and wear a GPS tracking device. Defense attorney David DuMouchel said Schmidt had been open about his travel plans to the United States prior to his arrest, despite knowing he could be charged. "This is hardly the action of someone who was trying to avoid the jurisdiction" of the United States," DuMouchel said. "All he had to do was stay home." But an assistant U.S. attorney, John Neal, told the court that Schmidt has few ties to the United States and would face stiffer penalties if tried here instead of in Germany. Neal noted the German constitution does not allow German citizens to be extradited to other countries. Schmidt could flee and "take his chances in Germany, where the sentence he faces would be significantly less," Neal said. Schmidt's trial is due to begin on Jan. 16, 2018. He is charged with eleven felony counts and could face up to 169 years in prison.